It's been a little while since I read this book and I don't remember all the details. But I don't really understand why everybody is falling head over heels with this book. During the entire book I didn't really 'feel' the story. 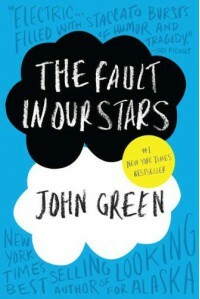 I read it, the story itself seems heartfelt and sad, but somehow I just wasnt feeling it. I didn't feel the love between them, I didn't feel sad about Gus and the book just didn't touch me. Maybe I'm just getting to old for these types of teen books. I didn't really care for the story about the book and the trip to Amsterdam. Though it was a nice touch, since I live very close to Amsterdam and the Netherlands don't appear in books that often. It was a sort of nice read, but I didn't love it and I really disliked how it didn't have a real ending. Even though I think it was meant to be an ending like the one in the book they both loved, it still annoyed me.